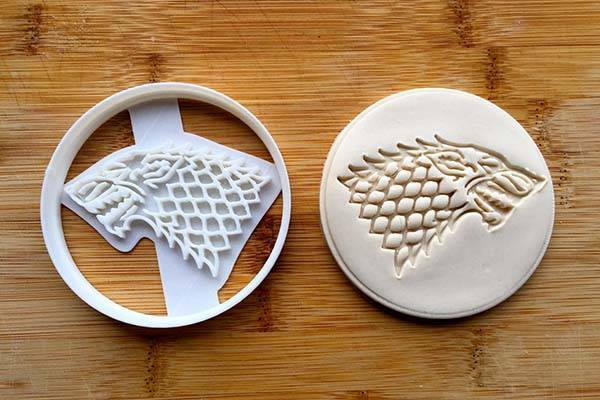 These are four 3D printed, exquisite cookie cutter themed by Game of Thrones. 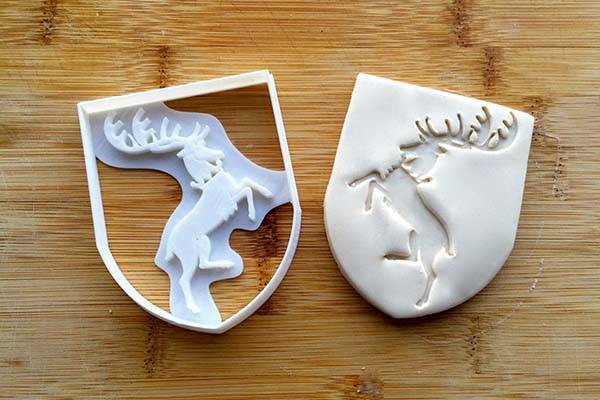 As we can see from the images, the cookie cutters deliver four iconic sigils that belong to four famous houses in the well-received TV series including House Stark, House Baratheon, House Lannister, and House Targaryen, and each cookie cutter accurately depicts the house animal using its meticulous outline. 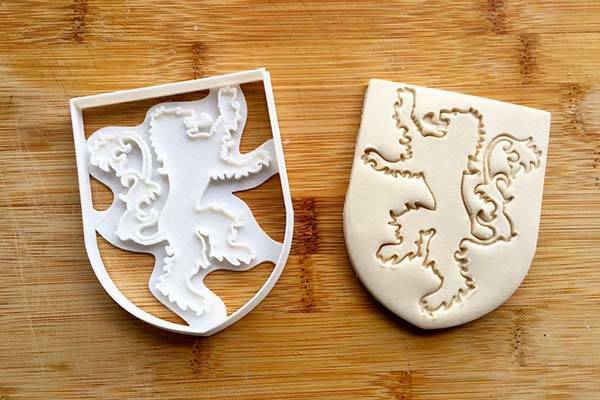 The four cookie cutters are 3D printed of rigid plastic for durability, and the thin edges let you easily cut the cookie’s shape, making rounded and badge-style Game of Thrones cookies. In addition, the cookie cutter series is customizable. You can contact the crafter for your favorite house sigils from Game of Thrones. 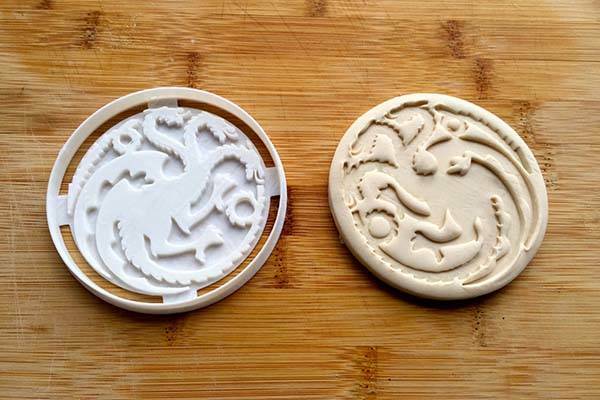 Each 3D printed Game of Thrones cookie cutter is priced at $10 USD. If you’re interested, jump to Etsy for its more details. BTW, also don’t miss another Game of Thrones cookie cutter series and more related cool stuff by following tags.